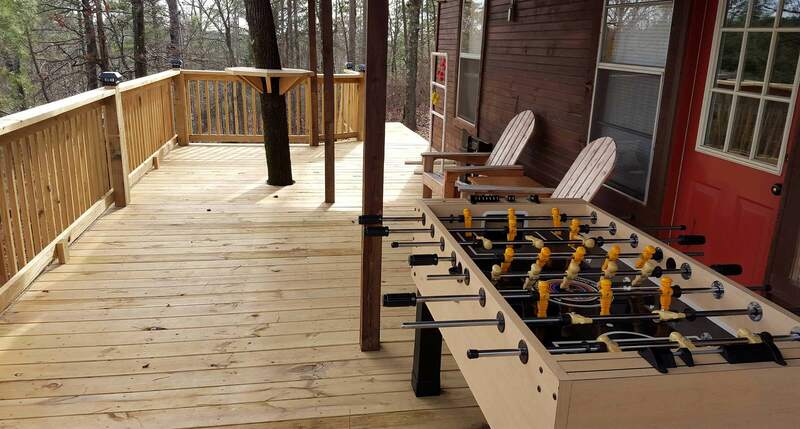 Charcoal Grill, Wifi, DVD Player/Cable TV, Foosball Table. 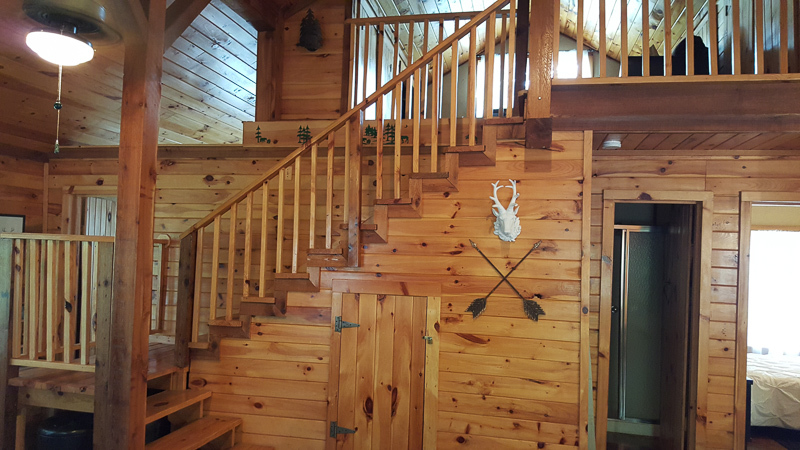 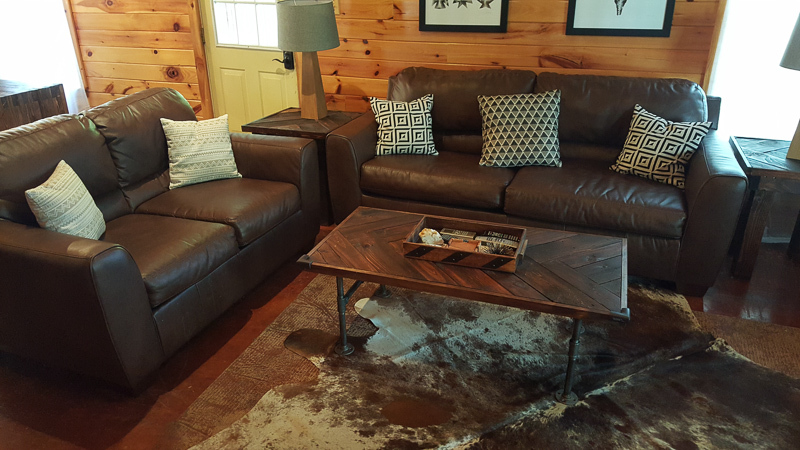 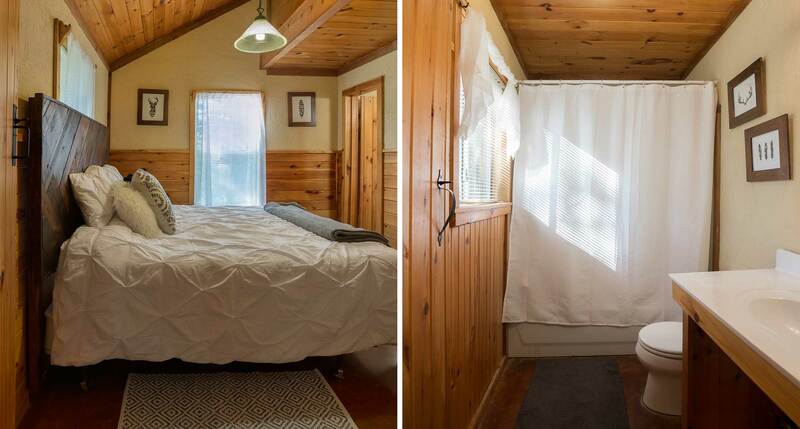 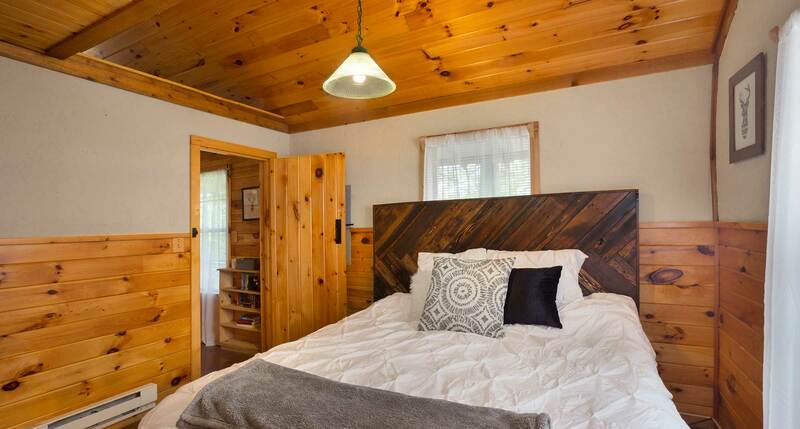 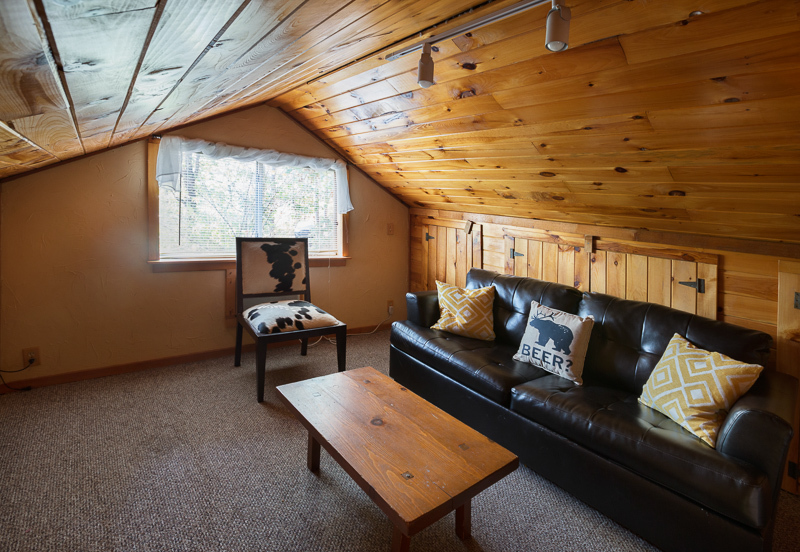 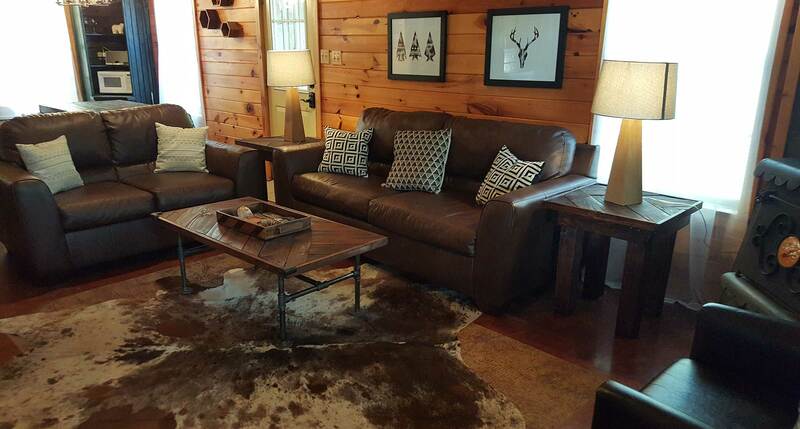 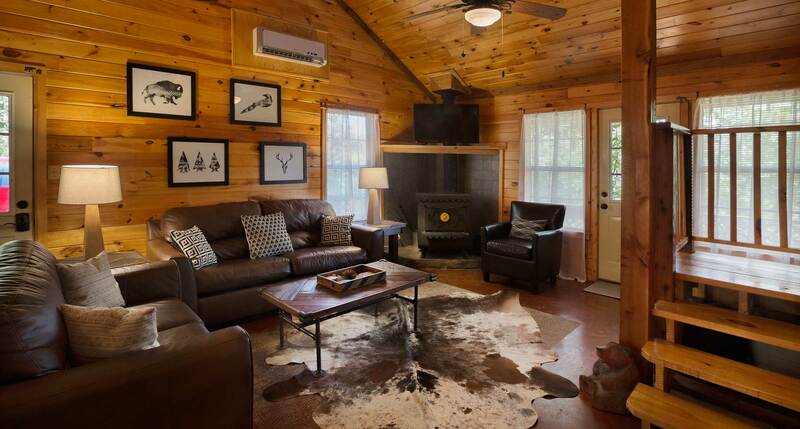 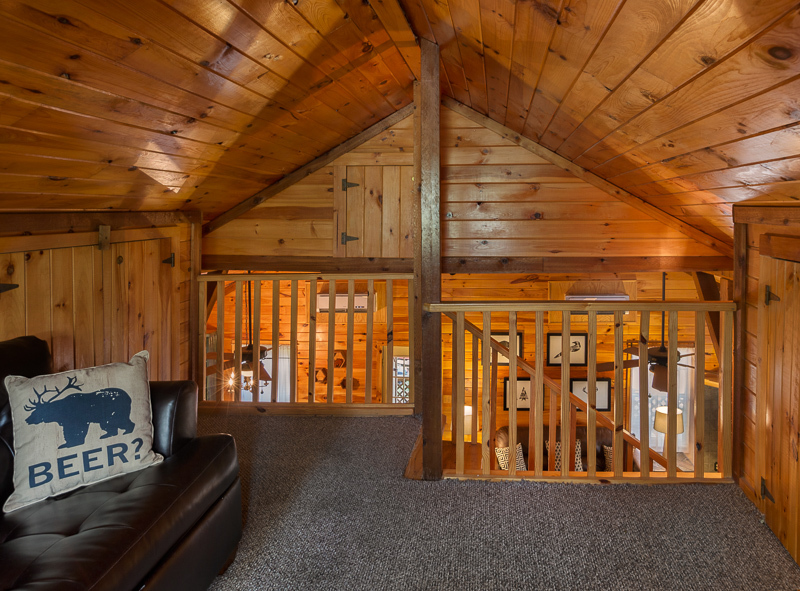 Sleeps 6 – Wind down in our cozy Wine Down! 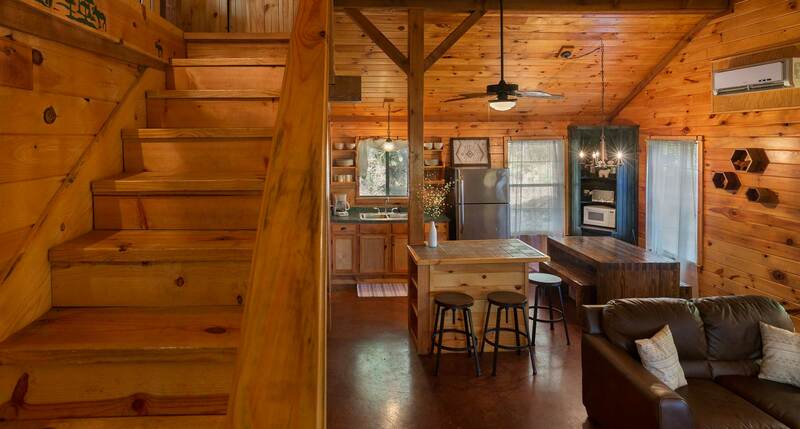 A quiet cabin perched high amongst the trees, tucked into the hillside. 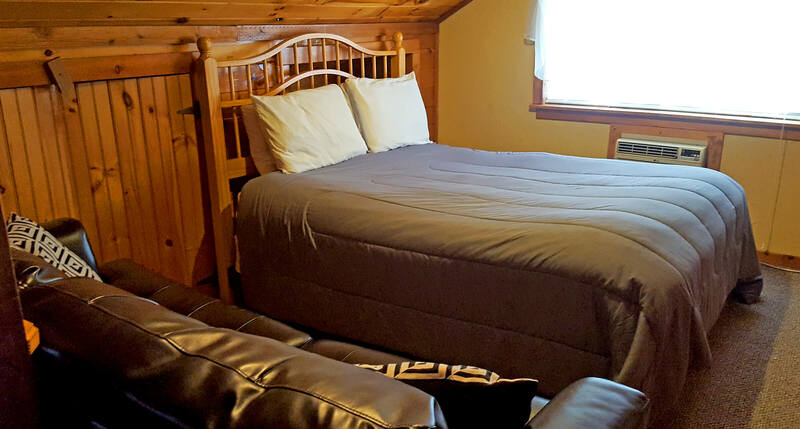 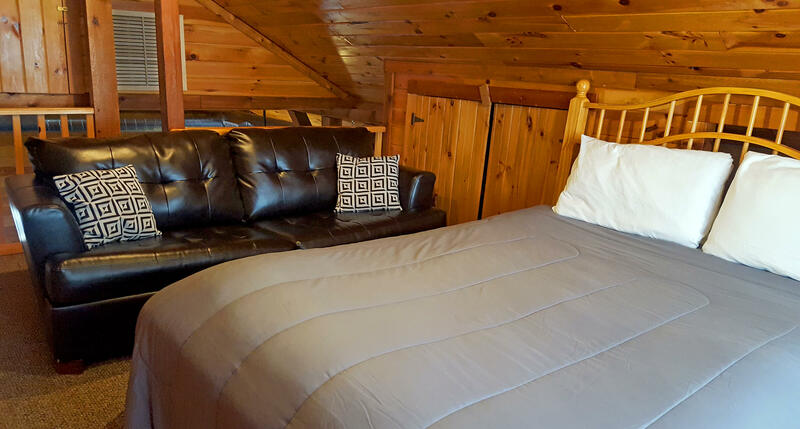 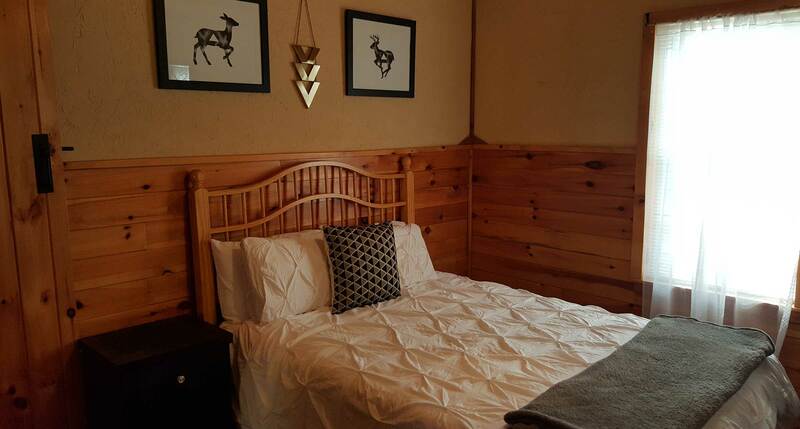 Wine Down sleeps 6 with one king Tempurpedic bed, one iComfort king, and a queen in the open loft. 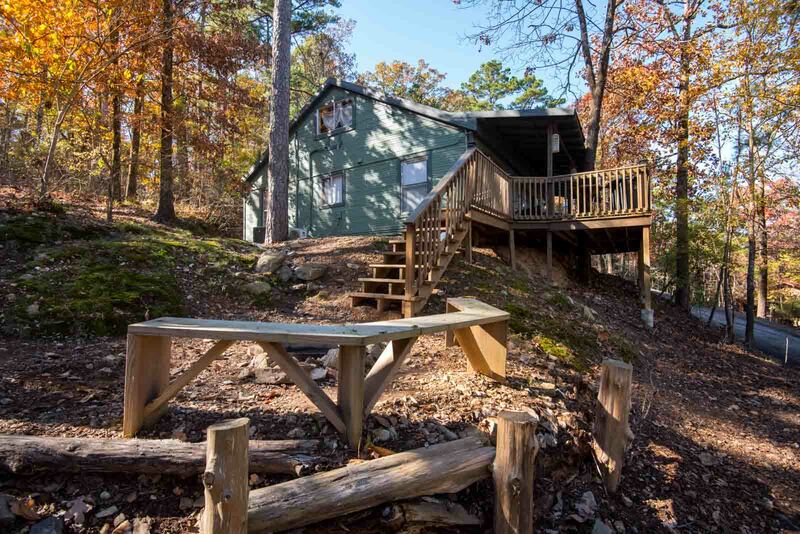 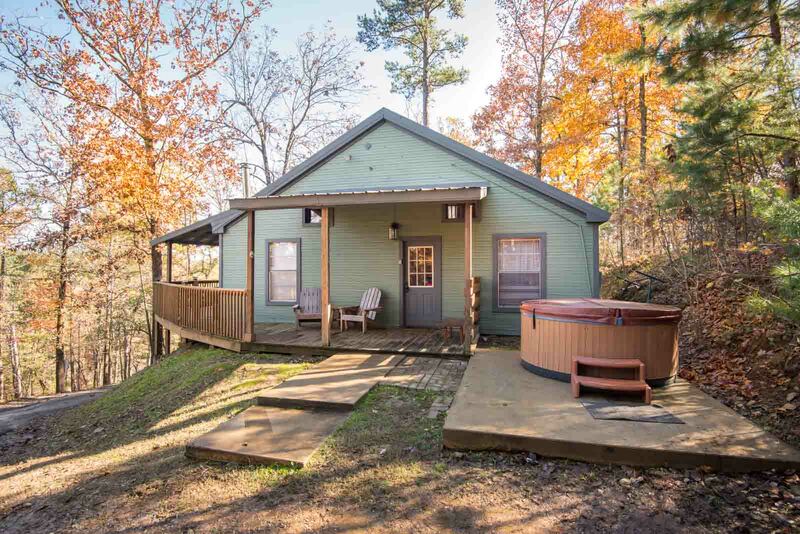 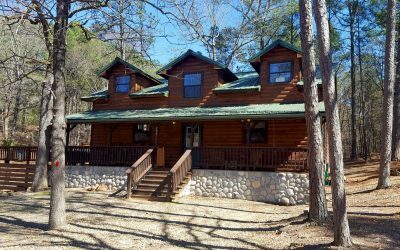 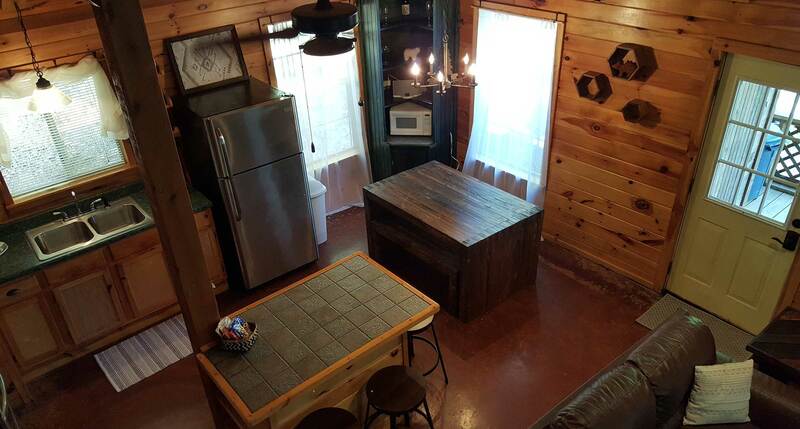 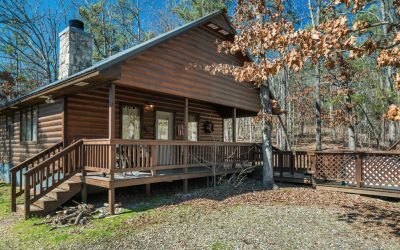 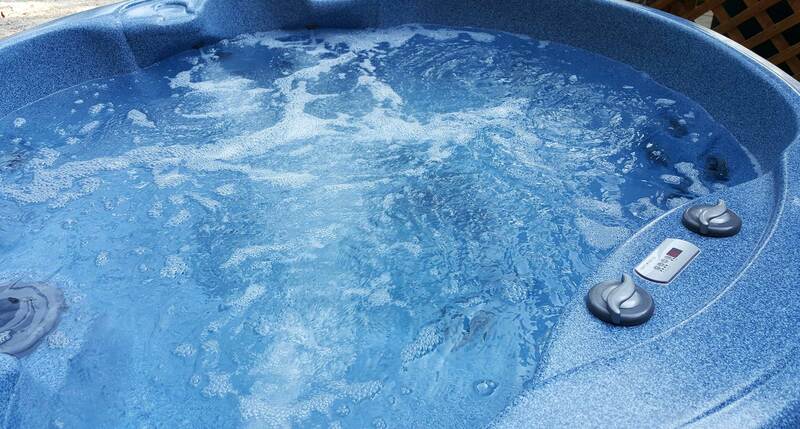 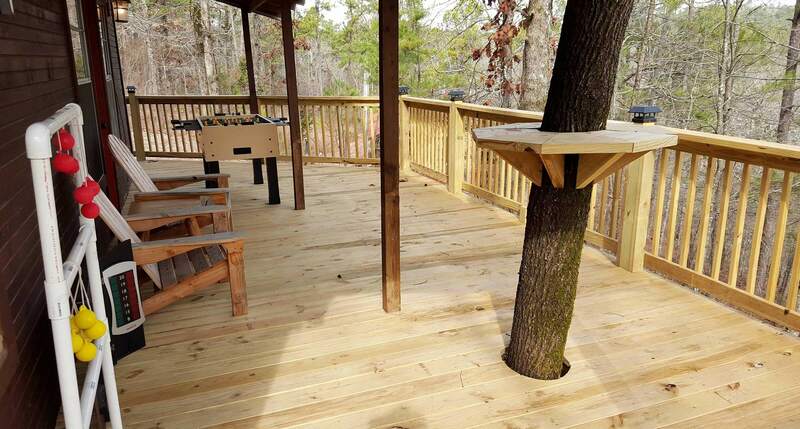 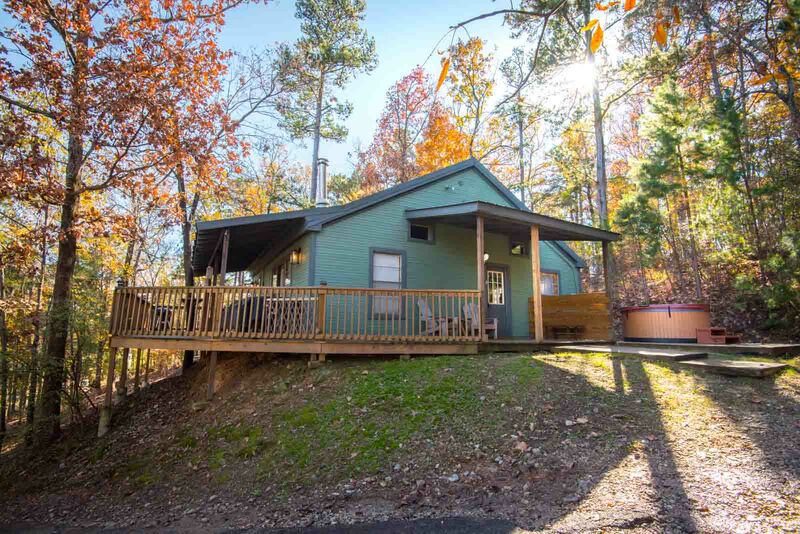 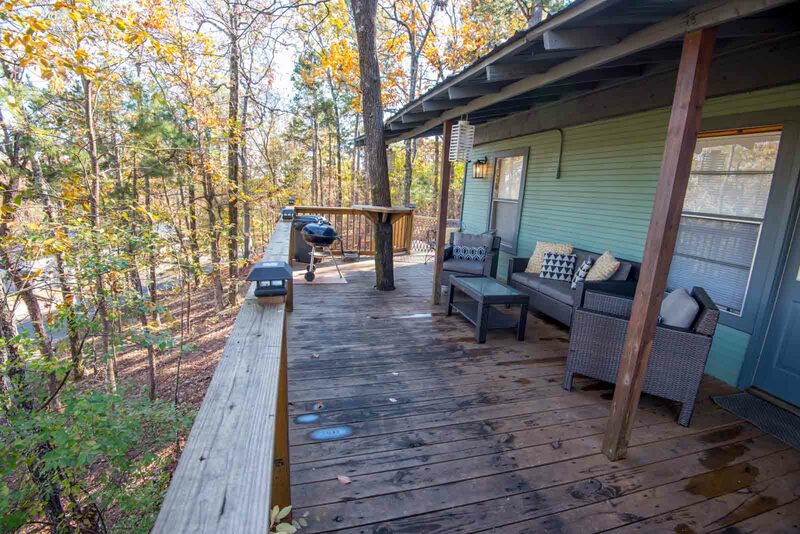 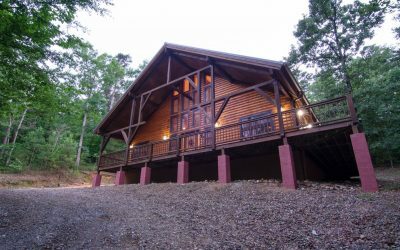 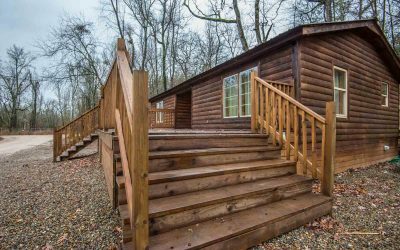 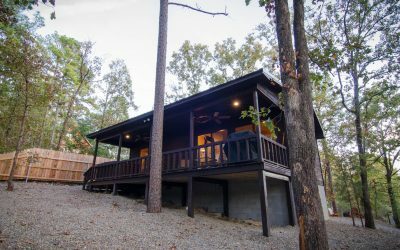 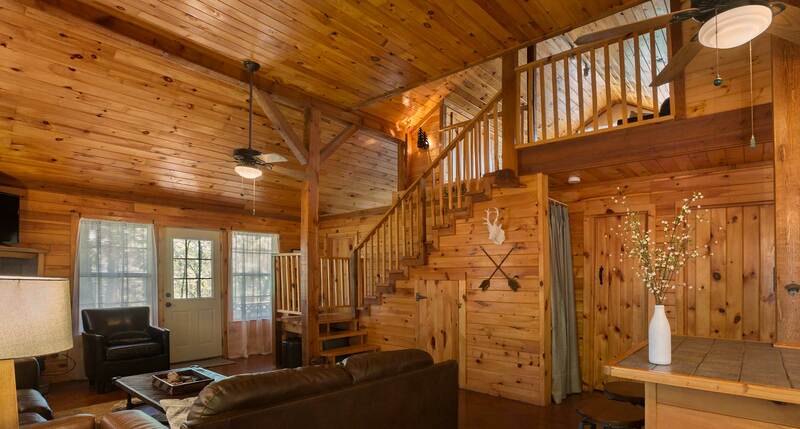 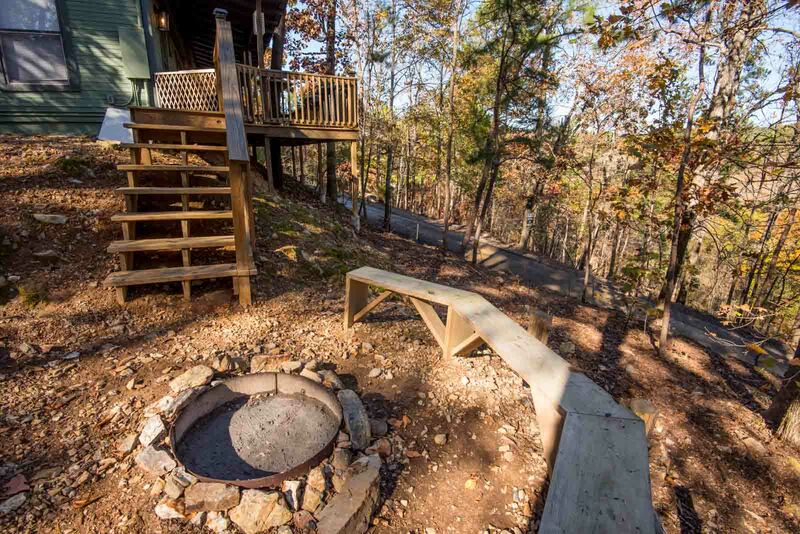 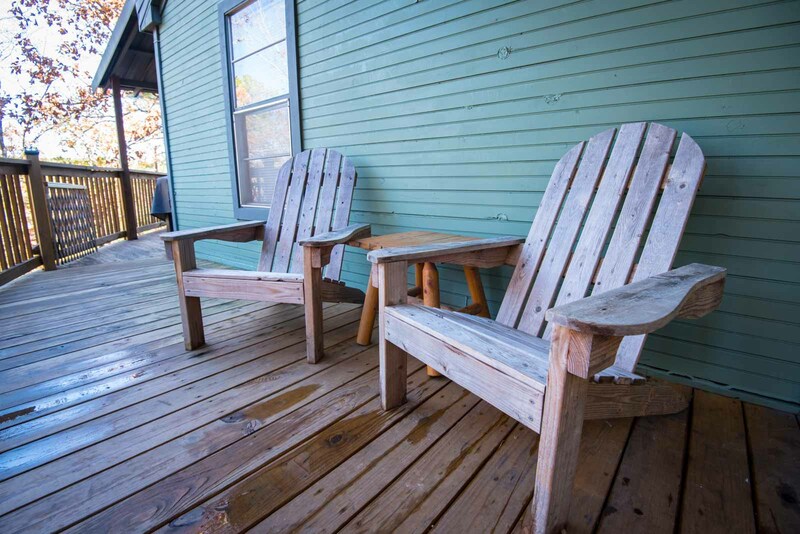 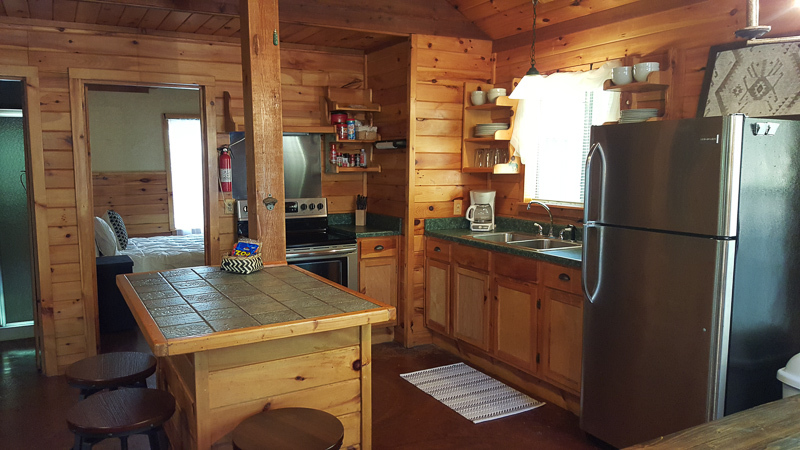 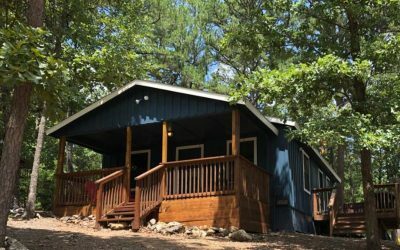 It includes cable, wifi, firepit, hot tub, foosball, and is pet-friendly.